Having already established itself as the diabetes capital of the world, India is slowly inching towards marking itself as a champion in heart diseases as well. THIRUVANANTHAPURAM: Having already established itself as the diabetes capital of the world, India is slowly inching towards marking itself as a champion in heart diseases as well. The lifestyle followed by the modern Indian citizen, replete with risk factors for heart diseases like smoking, unhealthy diet and high stress, is taking a toll on health. Presenting a ray of hope in this bleak reality for young Indians is the advancement made in the medical field which offers more efficient and less invasive modes of treatment. Dr Takahide Suzuki, director of Cardiovascular Catheterisation Centre at J A Hokkaido Asahikawa Kosei General Hospital in Japan, is a harbinger of this medical revolution which is slowly gaining footing in India. The acclaimed cardiologist with over 15 years of experience in the field is in the city to lend his expertise in attending several high-risk heart procedures to be carried out at KIMS over the next two days. His area of specialisation is Chronic Total Occlusion (CTO) which is the complete blockage of coronary artery persisting for over three months. While usually bypass surgeries and open heart surgeries are preferred for complex cases of CTOs, Dr Takahide is one of the few cardiologists in the world who possess expertise in CTO PCI (Chronic Total Occlusion - Percutaneous Coronary Intervention), a minimally invasive procedure which is capable of yielding results as good as bypass surgery while saving one the discomfort of a surgery. It is a highly advanced form of angioplasty that employs a particular technique as well as requires a special hardware, a technology that was pioneered by Japanese surgical manufacturers. While the procedure has obvious benefits of relieving the patient of symptoms like chest pain and improving the heart function, it also serves as a protective mechanism against damages caused by a heart attack in the future, says Dr Takahide. The procedure also cuts down the risk of strokes that are usually encountered in bypass surgeries. “During bypass, there is a high risk of clots going to the brain and developing a stroke. That risk is also minimal in this method,” he says. In recent years, the awareness about PCI has been increasing and is preferred by the patients owing to the lesser recovery time required in its case. “For open heart surgery, the sternum has to be opened and the patient has to be on a ventilator. The hospital stay also has to be much longer. This procedure involves just a puncture in the artery either at the wrist or in the groin. So there are no stitches. 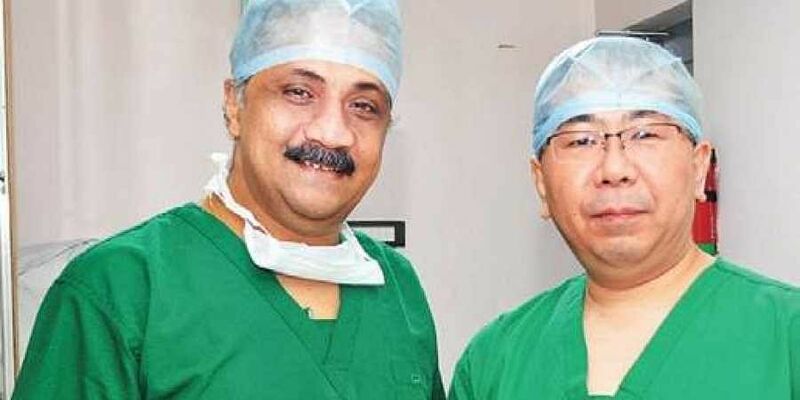 Hospital stay is just for two to three days and the patient is good enough to walk out on his own,” says Dr Ramesh Natarajan, senior consultant and chief coordinator of the Department of Cardiology at KIMS.Outside Japan, he has conducted workshops in countries such as India, Vietnam, Bangladesh and Sri Lanka.